Why are teams playing their backup and rookie goalies against us? Have they not gotten the memo yet? 🤬!!! I got up out of my lucky chair for a second. My bad. two fluky goals . that's nothing to be worried about . Canes just need to play better defensively so mrazek does not see too many shots and the canes should be good. smart passes and play is what will win this game for the canes , they stray away from that and play the corners then the canes will lose . god pesce is slow as molasses , he really needs to go with slavin to power skating school this coming off season and get them legs faster ! Hard to believe after the start, but lucky to come out of that period even. I called it earlier . from TV they just are making bad passes and every little shovel pass from Florida ends up on their tape. thankful its tied after 2. lets get them back in the second. Have to defend neutral zone too. he was on the ice for a long time on that shift though. 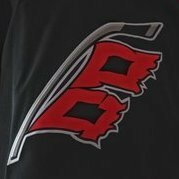 when the canes play the corners all day it prevents them from generating scoring chances . a lack in confidence and skill will cause any team to end up doing just that . I hate it and this Dump and Chase game will not win games . he played last night too. I think we are seeing why teams do not like to go with their goalie on back to back nights.